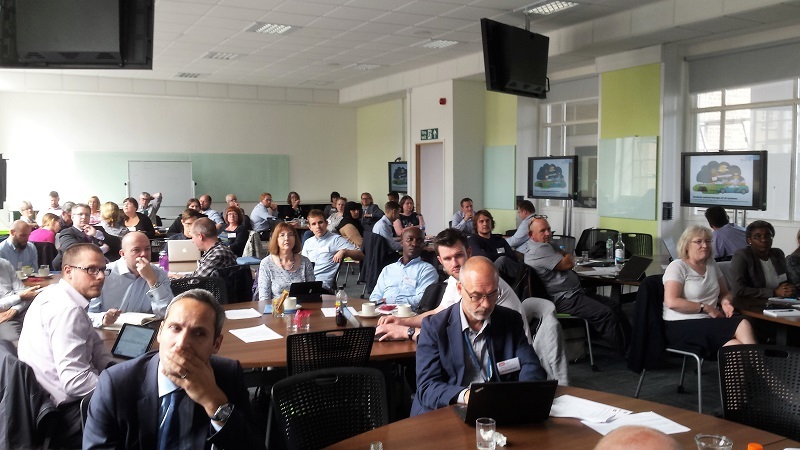 Aston University kindly hosted our latest learning analytics network event last week in central Birmingham. This one involved fewer presentations and more group work, which seemed to work well. The workshop part was focussed on developing strategies for carrying out interventions. 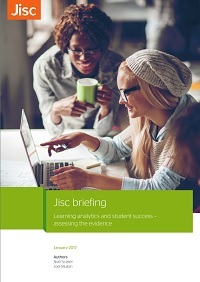 Paul Bailey updated the group first of all on how the Jisc effective learning analytics project is progressing. [Slideshare] The project is evolving into a fully-supported beta service from October. Jisc is providing the facility for 20 new institutions to come on board for 6 months at no additional cost. The full service will be available from Aug 2018. See Paul’s presentation for further details. 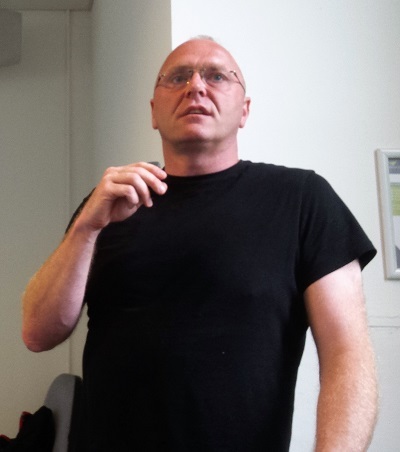 Rob Wynn Jones then discussed technical developments with the learning analytics warehouse, such as the new Unified Data Definition and the online data validator, the integration of library data and data from Turnitin, and planned integration with Canvas. 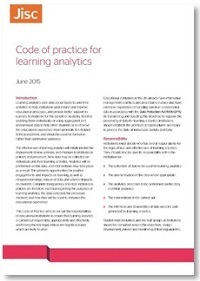 See Rob’s presentation [second part of Slideshare] for further details including updates to Data Explorer and Study Goal. We had two group working sessions during the day. The first one, before lunch was about student-facing interventions. I kicked it off with a presentation [Periscope recording, PPT 1.74MB], and then people worked in groups through a scenario with various reports in order to draw conclusions about how interventions should be taken. This was a cut-down version of the workshop I’ve described in an earlier post. After lunch we did a session on using analytics to enhance the curriculum, also a cut down version of the previous workshop Paul and I had carried out. We then had four really interesting presentations from different members of the group. First up was Manuel León from Southampton University, who discussed the fascinating work he and colleague, Adriana Wilde, have done to build a dashboard to analyse various aspects of MOOC participation [PPT 4.51MB] [Periscope recording – first 20 mins]. Next we had Sarah Parkes from Newman University, presenting on their Catalyst-funded project: ‘Collaborative development of pedagogic interventions based on learner analytics’ (PPT 1.42 MB) [Periscope recording, about 20:50 mins in]. Sarah was talking specifically about what students want from interventions. Two semi-structured focus groups were held with students, who were happy overall with the proposal. 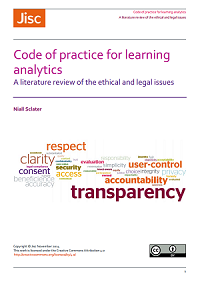 As has been found elsewhere, while staff believe that students will be concerned about the data collected about them, the students were relatively comfortable about it, though did have some specific concerns about who would have access to the data and what opt-outs would be available. Another interesting finding is that students didn’t want to be contacted by someone they didn’t know. The conclusion was that interventions should comprise tutor and peer-led activities. 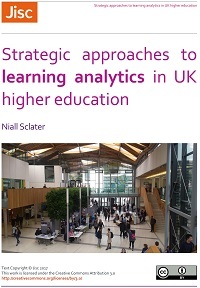 Ed de Quincey from Keele University presented next on work he’s been doing with colleague, Chris Briggs, around student centred design of learning analytics systems [slides at Speakerdeck] [Periscope recording from about 36:00 mins in]. Around 11 reports on student activity were available using Blackboard – they were in inconsistent formats and took ages to run. 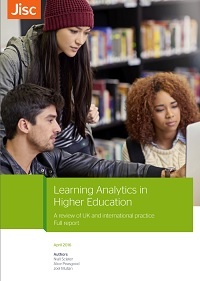 So they identified and reviewed 22 learning analytics systems, finding that very few of these were aimed at students themselves. 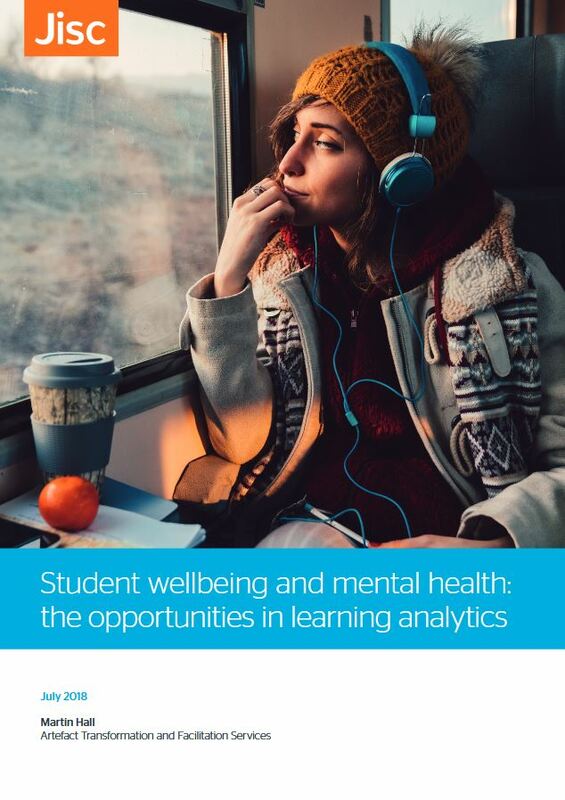 Ed’s slides show what the students at Keele came up with as requirements and what’s been done to build a new student-facing analytics dashboard. Finally, Linda Hanna from Essex updated us on the University’s learner analytics project [Periscope recording from about 36:00 mins in] She discussed some of the current issues around student support, the multiple systems available and what Essex is doing to try to integrate these – with their business school leading the way in providing better data to academics who are supporting students: some useful lessons for institutions embarking on a similar journey. 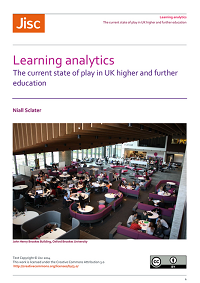 After coffee, Kieron Stanley and his colleagues from Aston discussed the many aspects of their own institutional learning analytics project. Unfortunately the Periscope recording of that session didn’t work but the slides (pptx 794Kb) are available. Our next meeting will be on 23rd Nov at the University of Greenwich. Hope to see you there!